To show how excited I was, I stayed there until 3 PM (the event start at 10.30 AM). In that amount of time I get to feel, try and shop at the store. The funny thing is, I even wear the hot pants from just trying out until I drove back home (the pants is so good!). Besides shopping, this premises is going to be a multi-function fitness studio. The list of classes such as flying yoga, Zumba, TRX and many more (its something that you do not want to miss) will be held here! Flying Yoga demonstration at Jonlivia. Fascinating! Spend RM500 worth of Jonlivia's products, to be part of JLC Exclusive member. This include first two month of FREE ACCESS of all of the classes mentioned above. 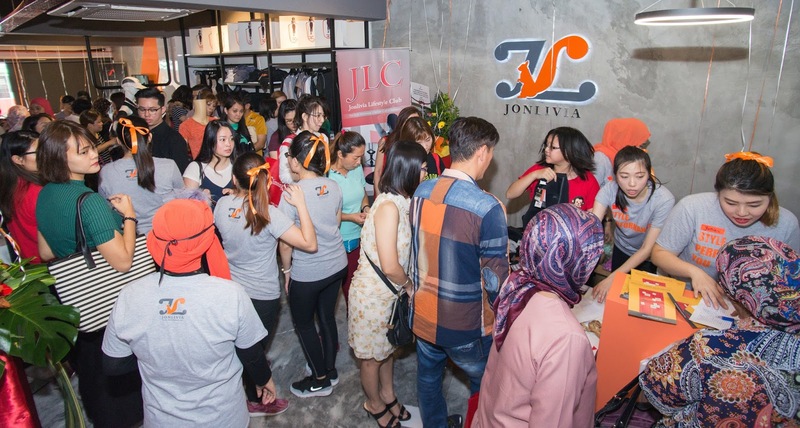 Jonlivia activewear for Mens and Woman at their physical store, SS2 PJ. Collect points on all purchases made at stores & online. Be the first to be informed about new product releases, exclusive events and celebrity visits and get to attend them. Received tailored promotional offers based on purchased preferences. Be Sporty & Stylish at the same time, that's Jonlivia is all about. Phew, that was a lot of benefit they have there. 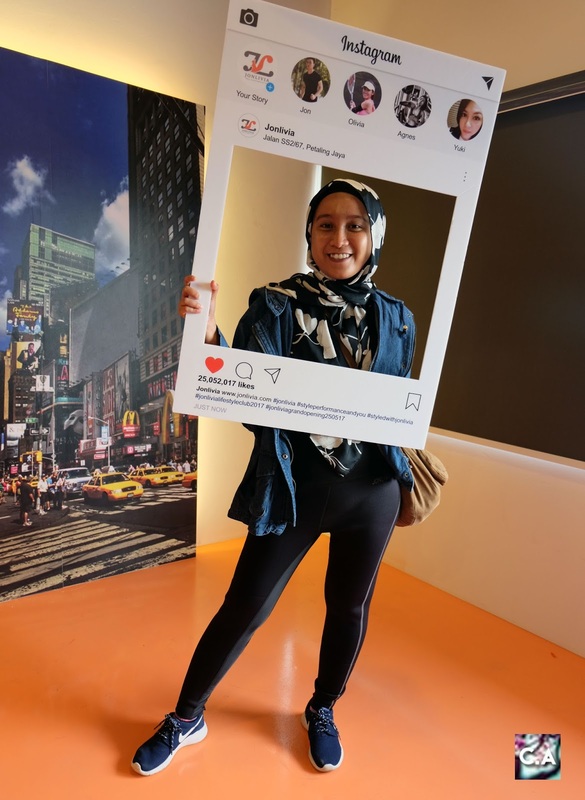 By the way, I already sign up to get my hand on all the goodies and I can't wait to get fit again! 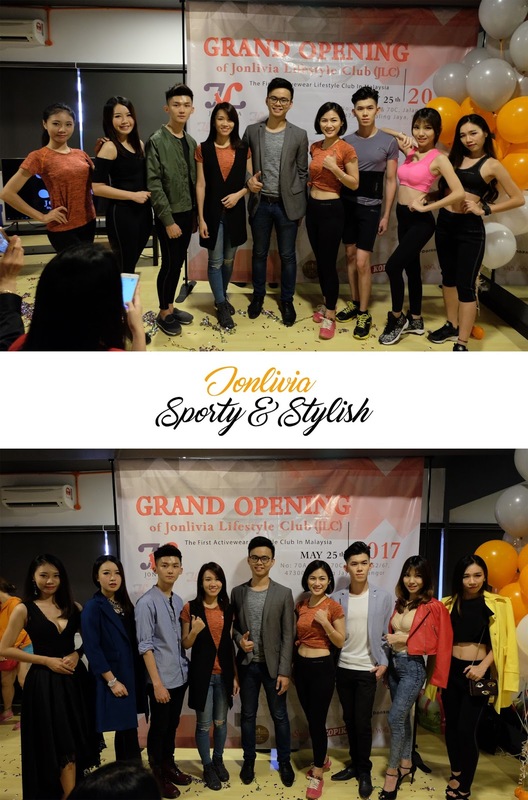 It was absolutely great to be part of the launch of Malaysia's first activewear lifestyle club on 25th May 2017, because I get to know more about the owner which is Jon and Olivia, whom shared about their passion in active lifestyle. And I just realised that, the symbol of 'L' is actually a squirrel that represent a speed, wit and performance. it's all about style, performance and about YOU! This is the hot pants that I'm talking about!